Vivo Y95 VS Oppo R17 Neo: Will You Go For Battery Or Performance? The Vivo Y95 and the Oppo R17 Neo are a similar smartphone that packs a bezel-less display and a beautiful body design. Both phones are also equipped with combo rear cameras and a fingerprint scanner. We will be comparing the Vivo Y95 with the Oppo R17 Neo in this article. The Vivo Y95 features an average body design. Although the phone sport’s a bezel-less display with a smooth panel, the presence of plastic on the body makes it look average. You will also get glass on the front and it measures 6.11 in x 2.96 in x 0.33 in and weighs 163 gram. 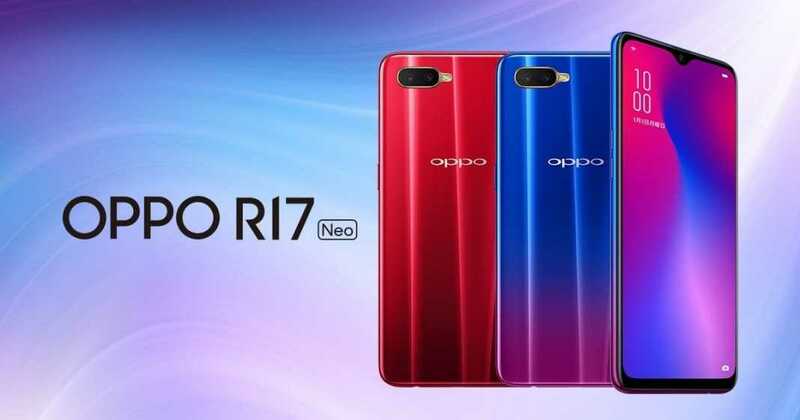 The Oppo R17 Neo sports a premium body design. The phone is built with Aluminium alloy and Glass. It measures 75.5 mm x 158.3 mm x 7.4 mm in dimensions and weight 153 gram. Both phones are available in multiple colors and they also have similar body design. The Vivo Y95 has a 6.22 inches screen size under IPS, LCD capacitive touchscreen with a resolution of 1520 x 720 Pixels and 270 PPI density. The Oppo R17 Neo has a similar screen size of 6.4 inches Full HD+ under AMOLED capacitive touchscreen with a resolution of 2340 x 1080 Pixels and 430 PPI density. Both phones have a display protection with a 2.5D curved screen and similar screen to body ratio. The Oppo R17 Neo will offer sharp screen than it’s rival because of the higher resolution and density. The Vivo Y95 and the Oppo R17 Neo features triple cameras set-up. The Vivo Y95 has dual rear cameras that consist of 13 Megapixels f/2.2+ 2 Megapixels f/2.4 with dual LED flash, while the Oppo R17 Neo have a dual rear camera of 16 Megapixels + 2 Megapixels with dual LED flash as well. The Oppo R17 Neo is the only that supports 4K videos shooting. For selfies, the Vivo Y95 has a front camera of 20 Megapixels with f/2.0 Aperture, and Face Unlock, whereas the Oppo R17 Neo have a front facing camera of 25 Megapixels with F2.0 Aperture, Sony IMX576 Exmor RS, and Face Recognition. The Vivo Y95 will take better photos than the later. The Vivo Y95 has a Qualcomm Snapdragon 439 chipset with an 8-core processor that clocked at a speed of 1.95 GHz, while the Oppo R17 Neo have a Qualcomm Snapdragon 660 MSM8976 Plus chipset with an octa-core processor that clocked at a 2.2 GHz. Both phones are powered by Android 8.0 Oreo and they both have support for 4G data with dual SIMs. On the memory, you will get the same 4GB RAM. The Vivo Y95 packs inbuilt memory of 64GB, whereas the Oppo R17 Neo has a generous internal memory of 128GB which is expandable as well. The Vivo Y95 has a massive battery capacity of 4030 mAh with fast charging technology, while the Oppo R17 Neo has a nonremovable battery capacity of 3,600 mAh with fast charging technology as well. On the price, the Vivo Y95 will sell at a price of $245, while the Oppo R17 Neo will cost around $400. The winner goes to the Oppo R17 Neo because of the hardware and camera. However, the Vivo Y95 is more affordable and it will also offer decent performance to users. So if you don’t have money to buy the Oppo R17 Neo, the Vivo Y95 will make a better choice.